Great Idea–count me in, and I’ll post more possible titles. Unfortunately, I’ve read a lot of them already, so it’s off to explore unchartered territory! I look forward to any titles you can add 🙂 and welcome to the challenge! I have had Evangeline Walton’s MASSIVE Mabinogion Tetralogy on my shelf for a long time, and this seems like a good reason to bring it out. Though it’s four books, not one! I’ll try to read at least one of them by the end of the year. Saw a review of Sixpence House by Paul Collins – I think it was Molly’s blog? set in Wales. I wasn’t going to sign up for any more challenges, but… this looks good! I’ll only go for bronze medal, though, otherwise I’ll be too stretched and will end up not doing it and then feeling bad. I have no idea yet which books I’ll choose, but I’m inspired by everyone’s suggestions. Oh I’m totally in! I did a semester of college in Swansea, Wales back in 2003. I got to see Dylan Thomas’ house and I’ve read a Jan Morris for college. I love this! Do you have a good place to find books of Welsh authors or about Wales? Just curious. 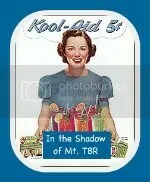 Try: http://www.ylolfa.com/ and then look on Amazon or Bookfinder.com for cheaper options. What about reading books in the Native tongue? Oooh, that’s ambitious 🙂 I wonder if I can find a chidren’s book with the read-a-long CD in Welsh. That’d be cool. I’m excited. When I was a student in Dublin, I took the ferry from Dun laoghaire to Holyhead, Wales. I know I’ll be reading How Green Was My Valley…Now I’ve got to pick out the rest. 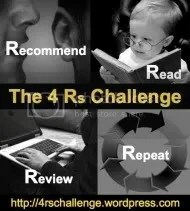 Great challenge! What a great idea. I have no idea what I’ll read yet but I”ll get a post linked as soon as I can. I never saw this last year, but I want in, i do enjoy rhys bowen and books about Wales since some of my family came from there, well about 1500 or so. Please tell me how to apply for the group. Thank you. Hello, I’m from France and i have a literary blog too. 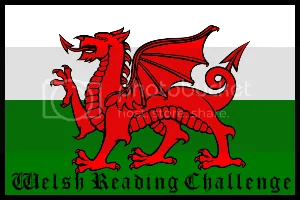 I would like to make this challenge with you if you allow me… i’m addicted to UK, and I’m willing to discover the Welsh literature just now. Would you allow me in your challenge ?? Pleeeaaase ?